At up to 35 pages per minute (letter), the imageRUNNER 2535i offers compact productivity that's dependable and easy to use for departments and workgroups. 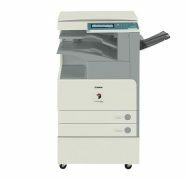 At up to 45 pages per minute (letter), the imageRUNNER 2545 offers compact productivity that's dependable and easy to use for departments and workgroups. 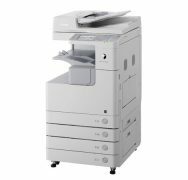 At up to 45 pages per minute (letter), the imageRUNNER 2545i offers compact productivity that's dependable and easy to use for departments and workgroups. At a speed of up to 30-ppm (letter), the MEAP-enabled imageRUNNER 3030 device offers a new level of personalization that can help growing workgroups become productive with features that turn complex tasks into simple, streamlined workflows. 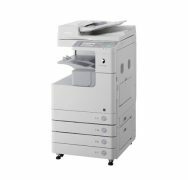 The imageRUNNER 3035 device offers document production flexibility for corporate departments that want to step up to the latest innovations in digital multifunction technology. 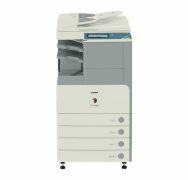 Operating at a speed of up to 45 ppm (letter), the imageRUNNER 3045 device is an advanced multifunction solution that can be personalized to help mid to large-sized workgroups bring streamlined document production capabilities in-house. Operating at up to 25 pages per minute (letter), the imageRUNNER 3225 is a highly configurable, compact MFP offering standard network print and color scan, as well as a large selection of options for small offices and workgroups. The imageRUNNER 3230, operating at a speed of up to 30 pages per minute (letter), delivers the advantages of networking printing, full color scanning, and optional fax capabilities to small businesses and workgroups.